The Prankster and Henry Michael Greenslade, the Lead Adjudicator for POPLA, have not always seen eye to eye in the past and no doubt will also agree to disagree on issues in the future. The Prankster possibly also causes more work for Mr Geenslade than any other motorist, mainly because The Prankster wishes to drive up standards in the parking industry and refuses to accept second best. The Prankster accepts he can possibly be trying at times. However, that does not stop The Prankster admiring the stance Mr Greenslade has taken with regard to the application of the law regarding charge levels, respecting him for his integrity and resolute steadfastness, and giving credit where credit is due. POPLA adjudicate cases on the basis of law (and very, very, very rarely, mitigating circumstances). 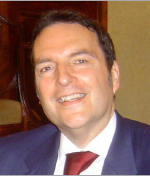 Mr Greenslade is a barrister of many years experience, and leads, trains and advises a team of law graduates. The parking operators expected POPLA to nod through their parking charges and were no doubt furious that this has not happened. The various British Parking Association meeting minutes are clear that the parking companies are incandescent with rage that POPLA are upholding large numbers of appeals. The reason is simple. Whenever a motorist challenges the amount of a parking charge issued as a breach of contract, that amount must be a true pre-estimate of loss. Typically, this will be at most a few pounds, and not the £85- £100 most companies charge. The parking companies have tried many different explanations of how their charge is a pre-estimate of loss but none of them have cut the mustard with Mr Greenslade and his team. Indeed, their explanations change so often it's almost as if they don't really know what a pre-estimate of loss is and are trying out various excuses to see if one sneaks through. In the past ParkingEye have said this was the money lost by shopkeepers as a result of parking spaces not being available; then they tried saying it was for the running costs of their business; now they are saying it is not a pre-estimate of loss at all but a commercial charge. Behind the scenes, the pressure by the motoring companies for Mr Greenslade to change his stance must be enormous. Many parking companies have contacts in high places, and there are ways and means of putting pressure on people that are not always apparent, and will never be public knowledge. Perhaps the great untold story of POPLA will be how Mr Greenslade has remained consistent and unchanging, no matter what unknown pressures have been put on him to change his viewpoint. For this reason (and no other is needed) The Prankster tips his hat to Mr Greenslade and thanks him on behalf of the motoring public for all the appeals upheld on the basis of pre-estimate of loss. This FoI request has the full details. The British Parking Association Ltd justified the introduction of POFA 2012 financially by stating that it would reduce the burden on the courts. In actual fact, the number of claims has rocketed by almost 20 times. Despite the number of claims issued, cases rarely proceed to court. Of the 8,000+ cases filed by ParkingEye only 20 or so have made it to court. ParkingEye drop a lot of cases under instructions from the landowner and will regularly settle cases for between £20 and £100, depending on how good a negotiator you are. One reason is because they have difficulty justifying their £50 solicitor fee, which is not actually incurred. Another reason is that they lose money in court, even if they win the case. They pay LPC Law around £200-£300 to represent them, and legal fees are not normally recoverable in the small claims court. As their claims are for around £85 to £100 parking charge, they therefore lose at least £100-£200 per case. In cases where the judge has adjourned because ParkingEye did not bring their contract to court, they will obviously lose even more. Once ParkingEye have filed a court claim, costs will not normally increase until 7 days before the actual hearing. It makes sense therefore not to panic and pay any claim immediately, but to contest the the case, investigate the options and meanwhile negotiate with ParkingEye to pay a lower amount than the amount claimed. In some cases it may also be appropriate to use the already existing dispute mechanism in the parking industry, which is to use the parking company appeal process followed by POPLA. This will be cheaper for all parties than going to court so it is also worth asking the court if they order both parties to use this facility. A large number of ParkingEye car parks have issues with missing mandatory entrance signage and other signage problems, so it is always worth checking this. You can take photos and videos to back up your case. The courts will allow video evidence if primed in advance. Here is one video showing the McDonalds Bridgend car park. About 4 seconds in you can see that ParkingEye have cleverly hidden their entrance signage behind a bush. This means that motorists have little chance of spotting it while still allowing ParkingEye to claim that entrance signs exist. ParkingEye have never been able to justify their charges to POPLA, losing every known case, so this angle is also worth investigating. ParkingEye have also had problems with the paperwork showing that the landowner allows them to operate. There may also be case specific issues; for instance, ParkingEye has a different opinion on the Equalities Act 2010 than many people, so if a disabled person or breastfeeding mother is involved, this may also be relevant. This delay does not bode well for POPLA. Their agreed targets were to decide all cases within 44 days. They are currently on notice for September, October and November. If they fail to meet their agreed performance criteria then the British Parking Association will meet on the 5th December to consider terminating the contract. In August there were more than 3,500 cases which were unlikely to beat the deadline, so currently it is all hands to the pumps in an attempt to churn out verdicts as quickly as possible. The case was a particularly easy one to decide - a bread and butter case for POPLA adjudicators. The operator, ParkingEye has never been able to justify their pre-estimate of loss calculations, despite trying many different explanations to POPLA. The reason is simple. Their stated costs of running the business, divided by the number of tickets issued, is £53. The ticket charge is £85. £32 is therefore clearly profit, which cannot figure in any pre-estimate of loss calculation, no matter how you dress it up. Moreover, the £53 contains many elements which are also not part of any profit or loss calculation, and which are regularly highlighted as not allowable by the POPLA adjudicators. POPLA assessors should therefore be able to deal with cases like this very quickly. However it does appear that a few cases get lost, and are only kicked back into action once the motorist starts complaining. The POPLA caseload is managed by excel spreadsheet (The Prankster found this out when he phoned POPLA to find what was happening with his case), which is not a particularly scalable or robust solution. The Pranksters own case only lasted 151 days, although he is currently appealing against the result on the grounds they seem to have assessed a different case. To show how easy this decision should have been, here is a list of some of the known POPLA verdicts for ParkingEye where pre-estimate of loss calculations have been questioned by the motorist. There are no known cases where ParkingEye's explanation for pre-estimate of loss were accepted by POPLA, despite ParkingEye desperately trying out many different explanations. No doubt Capita have been informed that ParkingEye's charges are not upheld by POPLA, and have fully accounted for this in their reported £57 million takeover. The Prankster would like to thank the various people at MSE for creating and maintaining the list of known POPLA verdicts, and the various people at pepipoo for collecting and making available completed transcripts. 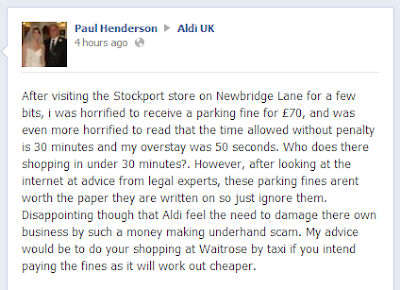 Aldi have instigated a strict 30 minute shopping limit for motorists at their Stockport Newbridge Lane store. Aldi are obviously keen to prevent their customers having a relaxing shopping experience and are working hard to maximise customer dissatisfaction. Issuing Parking Charges for a mere 50 seconds overstay shows they mean business. Or rather, means they don't want repeat business. Normally the British Parking Association code of practice stipulates a grace period should be applied to car park times. However Aldi have cleverly employed ParkingEye as their parking enforcers. ParkingEye are apparently able to ignore the code of practice without fear of retribution. As large fee payers to the BPA and DVLA, ParkingEye seem to be able to get away with transgressions that other parking operators cannot. Their entrance signage hardly ever complies with the mandatory code of practice and as the above post shows, their grace periods are also not compliant. The Prankster congratulates Aldi on their choice of parking operator and wishes them well in their continuing strategy of diverting their customers to Waitrose. 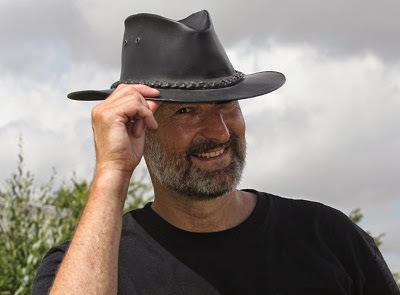 As ParkingEye are extremely litigious, The Prankster advises Paul Henderson not to ignore the ticket, but to get the store to cancel the charge. If they refuse, then appeal to ParkingEye and then POPLA. There are no known results where ParkingEye have won at POPLA when the level of charges are questioned, and many many published results where ParkingEye have lost.